DoubleUp. Adding 1$ for every dollar you spend on your ads. 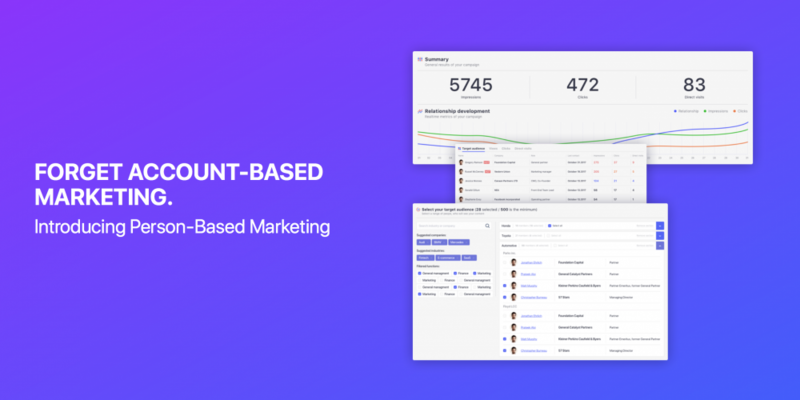 Influ2 is a platform for person-based marketing. It allows you to display content to the list of decision-makers within your target audience - by name, by company, by title. Engage new customers, increase brand awarness and remind cooled-off leads about yourself by creating ads based on your content - case studies, blog articles - and showing them to the right people. Once your campaign is running you can track who exactly from your hand-picked audience viewed and clicked on your ad. You can start buidling relationship with those who really express interest in your product. Influ2 is making advertsing relevant again.